Earth Day is great time to give thanks to the incredible planet we call home. 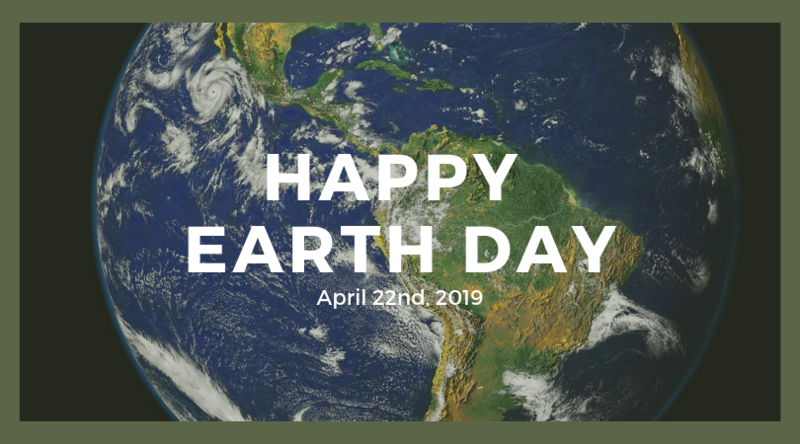 Celebrate by making sustainable choices that our Earth would be proud of! Below are some of our favorite eco-friendly green products you'll love. Plastic straws end up in our oceans and landfills. They pollute the water, harm wildlife, and create unnecessary waste on our planet. End the cycle of plastic with some of these awesome straw alternatives! This 5 piece stainless steel straw set comes with two stainless steel straws, a cleaning brush, a silicone tip and a carry pouch with your logo. Easy to clean and carry, they are perfect for travel or as an earth-friendly gift. If you're looking for a more compact choice, consider this retractable metal straw with a clip on case complete with your branding! Your customers can attach it to their backpack or purse and can skip the plastic straw everytime while sporting your logo. There is also the option of biodegradable paper straws! These straws offer the same convenience as plastic without harming the environment. Have your logo on the packaging to remind your customers you prioritize the green movement! Several US Cities have started to ban plastic straws, including New York City, Oakland, and Seattle. The movement has even gone international. Scotland has plans to eliminate all plastic straw usage this year and Taiwan is banning all single-use plastic items (straws, bags, lids, etc.) Companies have also joined the moment by banning plastic straws in their places of work. You could be one of them that helps change the world. Which alternative straw will you choose to help conserve our planet this Earth Day? When people think of going green one of the most common and easy choices is to use reusable shopping bags! These bags are made from sustainable products and can all be washed and used again and again. Choose from a subtle touch with your logo on the front to a full cover imprint with your branding on the front, gusset, and bottom of the bag. What better way to feature your brand than in someone's everyday life? California and Hawaii have officially banned plastic bags due to their harm on the environment. Other states are following suit, too! Be ready for the movement and showcase your company logo on any of these reusable bag choices. We offer bags made of 100% natural washable cotton, bags that clip onto shopping carts for easy grocery runs, and many more! With so many types of eco-friendly bags to choose from we're sure you'll find the perfect way to show off your brand. Recycling paper is second nature now a days, but have you ever tried to replant your paper? These postcards and other paper items are each handmade from 100% post-industrial recycled paper and infused with a hardy mix of wildflower seeds. A sweet note and then flowers that bloom, what a great way to spread joy to coworkers, customers, family, and our planet! For Earth Day 2019, our suppliers have created custom seed mixes to help repopulate the bees and monarch butterflies. Help reduce waste and go green to save these amazing creatures that play a crucial role in the circle of life and mother nature. Choose from over 100 stock seed paper shapes featuring your logo to find the best way to go green and be kind! 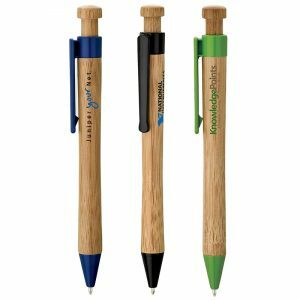 A pencil with your branding that grows when planted! What if instead of throwing your pencil stubs away you could plant them and have them grow into something delicious, beautiful, and fun? A sustainable choice that gives back to the earth and helps your branding grow too! You can choose from cherry tomato, basil, cilantro, daisy or carnation for your pencil sprout! Imagine the smile on your customers' or employee's faces as they watch their office supplies bloom into flowers or herbs. You can help them grow their green thumb and have daisies in their garden or cherry tomatoes in their salad. All from a pencil! A small and simple choice that makes a big statement on company culture and employee value. MiiR Products are sustainable, customizable and 3% of revenues are donated to trackable projects. Each product has a Give Code printed on the bottom so you can see exactly where you are making an impact on the community and the planet. With MiiR, you can be confident that your branded drinkware is both stylish and sustainable. Stylish and functional drinkware is one of the biggest trends of 2019, so why not go above and beyond and make it a charitable choice, too? These mugs and bottles are sure to be the talk around town, make sure you have your logo on them. There are so many sustainable, recyclable, and eco-friendly products to choose from. We are confident you'll find the perfect way to promote your brand in a sustainable fashion. 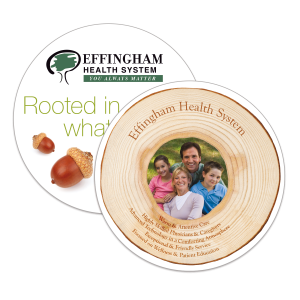 These coasters are white medium weight paperboard that is biodegradable and recyclable. They are made from sustainable, renewable resources which help keep our planet strong and beautiful. Pens are a staple in a business, so why not choose to use pens made from bamboo! Help end the use of plastics and switch to eco-friendly office supplies to make your mark on the environment a good one. 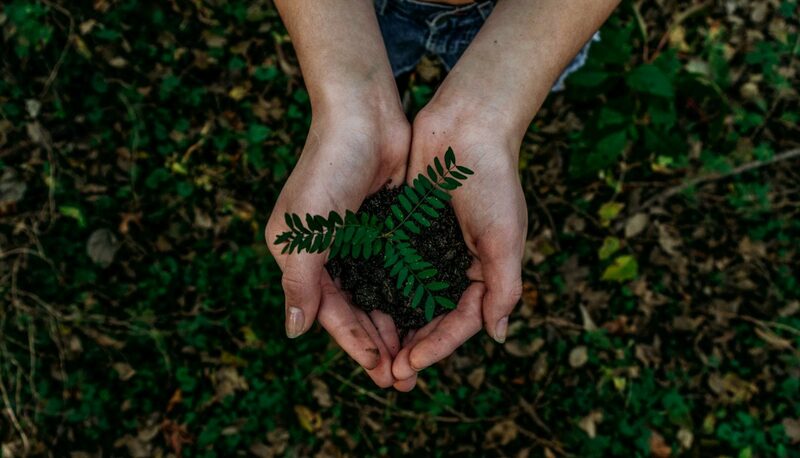 No matter how you show some love to our planet on Earth Day, be sure to make sustainable and eco-friendly choices all year long with promotional products that reflect your brand and help our planet! Please contact one of our representatives or email us at hello@gosignet.com so we can help you promote your company brand in an earth-friendly way!